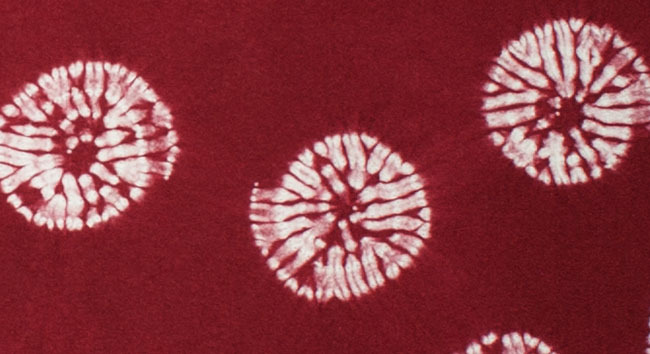 Kimoyes item: 21402 - Deep red silk with white shibori design. Deep red silk with white shibori design. Drapes well and reversible.